With no paper backup, experts concerned about election integrity. ■ The Secure, Accessible & Fair Elections Commission, created by Secretary of State Brian Kemp, is reviewing options for paper balloting that could be in place by the 2020 presidential election. 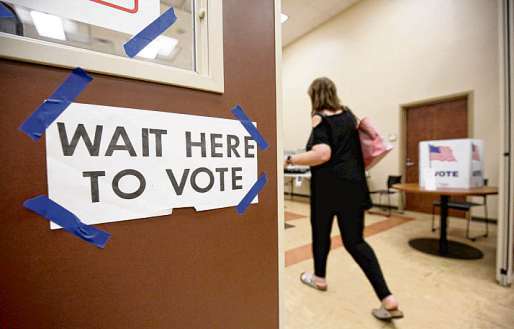 ■ A coalition of election activists and voters filed a lawsuit in July in an attempt to force the state to implement paper ballots immediately, but state election officials say a change now would create chaos for the November election. ■ Georgia is one of only five states that rely on electronic voting machines and do not create a paper backup. 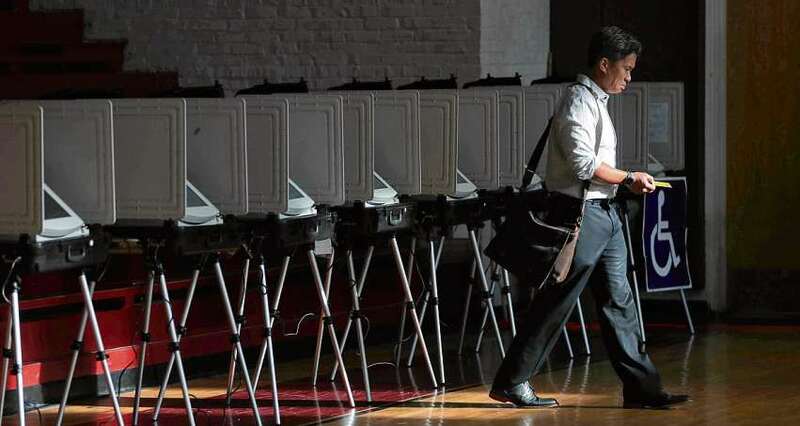 In the metro area, elections officials in Fulton, DeKalb, Cobb, Gwinnett, Henry, Clayton and Fayette counties told The Atlanta Journal-Constitution they are working with the Secretary of State’s office to ensure every ballot cast in November is counted and reported accurately. They say their systems and processes are battle-tested and secure. Also feeding into voters’ apprehension is mounting evidence that Russia attempted to hack into election systems across the U.S. in 2016. Special counsel Robert Mueller’s investigation found one suspected operative had visited Cobb and Fulton counties’ election websites, though no confidential information was obtained, the Georgia Secretary of State’s office said. Regardingthe more recent concerns, Barron said a lot of hacks that happen in labs would be much harder in the real world. For example, seals are placed on voting machines, and poll workers check to ensure the seals are unbroken. They also make sure that the serial numbers on the machines match those recorded earlier. Two weeks ago, Henry County officials installed an alarm system at its elections office in McDonough. Elections and Registration director Tina Lunsford said the move was made out of an abundance of caution not because there’s any information that the county is a target of hacking or voting machine tampering. Across America, voters are worried. A February 2018 NBC News poll concluded that eight out of 10 Americans are concerned the country’s voting systems are susceptible to hackers, and twothirds said they fear foreign governments will try to interfere in elections this year. Clayton resident Timothy Vondelljefferson said he is most concerned that the loss of political norms in Washington will have an impact on the integrity of voting in Georgia. He thinks Kemp has declined to resign as secretary of state because Donald Trump - a Kemp supporter - has encouraged leaders to break with tradition and do whatever it takes to win. “Lots of people love going to the polls on Election Day. I am one of them,” she said. “But if your concern is not having that human verifiable piece of paper, then go early-vote or go online and request an absentee ballot.” Early voting is still electronic in most jurisdictions. However, voters who want to use paper can request a mail-in ballot. Common Cause also has a list of other recommendations it believes will help elections go smoothly, such as hiring enough workers to fully staff polling locations, not assigning voters to new precincts within 60 days of die election, increasing access to early voting and being more transparent about how and why voter roll purges are conducted.